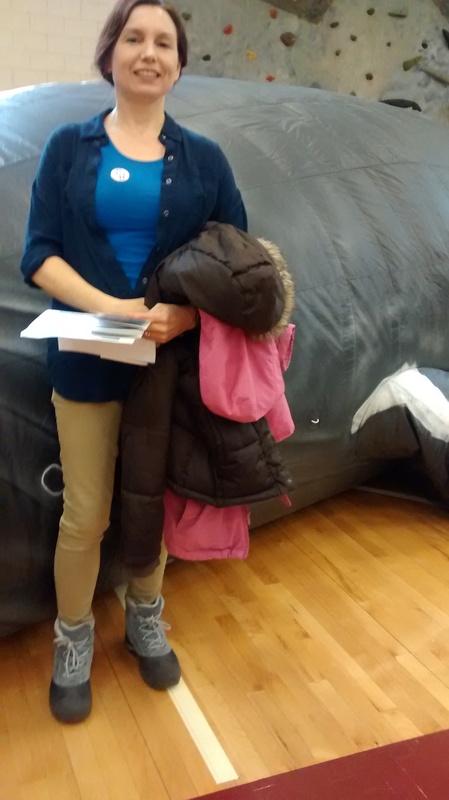 This past Saturday, my daughter and I attended the STEM expo that was held at Wellesley High School. 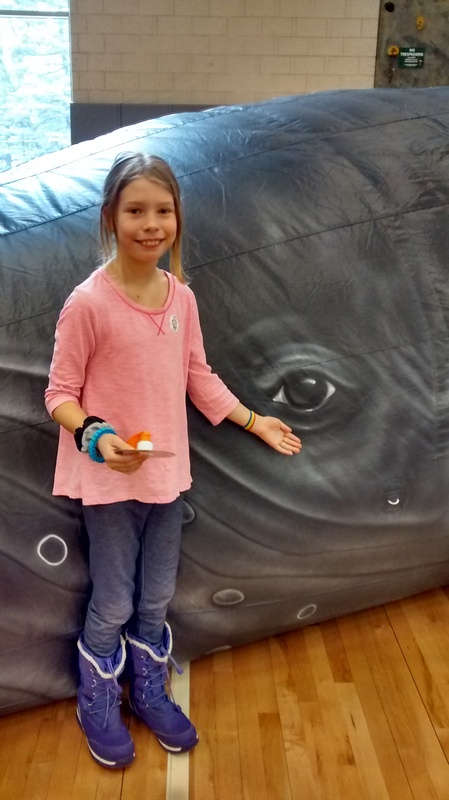 Her friend’s mother, who is a professor of mathematics, had a booth at which she taught visitors how to make secret codes, which was a great way for young visitors to learn about one of the ways mathematics can be applied in real life. When we decided to go, I had no idea the expo would be so huge and so full of sophisticated, cutting-edge science and technology information. We met a team of undergraduates who had created a voice-activated wizards’ chess board. That is, a chess board on which the pieces move seemingly of their own accord, just like the wizards’ chess pieces that move by magic in Harry Potter. We also had the chance to meet a master kite maker and make tiny kites small enough to fit in the palms of our hands and fly indoors. 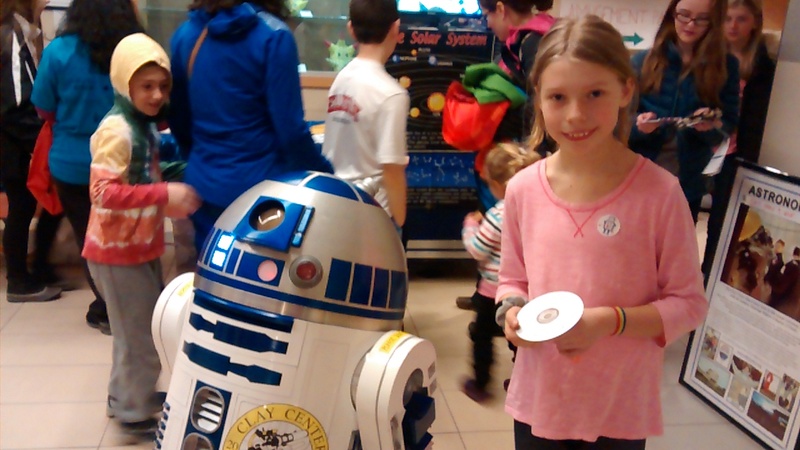 My daughter met R2-D2, which is way less significant to her than it was to me, since of course I was very much a child of the Star Wars generation. We also visited a life-sized inflatable whale. Of course, Mom gets to carry both coats! I think we’re not even close to discovering yet all the things the Boston area has to offer.